Do you feel heavy, lazy or tired? Do you feel a loss of drive, motivation or excitement for life? Do you feel guilty about what you eat, how much you eat or how you eat? If you answered yes, then this 3-day cleanse is right for you! Headaches, bloating, gas, heartburn and illness are some of the symptoms of a poor digestion and elimination system. One of the best ways to reverse these symptoms is to cleanse the body. Shama Kaur will lead you on a 3-day cleanse rooted in the teachings of Kundalini Yoga as taught by Yogi Bhajan that will alkalinise the body, cleanse the liver, support the large intestine to eliminate efficiently, and refill the body with prana to leave you energised! Most importantly, get ready to start a 3-day cleansing diet and be supported with further recipes should you want extend your cleanse beyond 3 days! -Dissolve and eliminate toxins and congestion that have formed in the body. -Cleanse the kidneys and the digestive system. -Purify the glands and cells throughout the entire body. -Eliminate all unusable waste and hardened material in the joints and muscles. -Build a healthy blood stream. - Only 10 spots available so book fast! 50 % Deposit by March 15th. Full deposit is refundable till March 30th 2019. No Refunds after March 31st, 2019. Please email c2hhbWEgfCB5YWxsYXlvZ2FjZW50ZXIgISBjb20= with proof of transfer document. 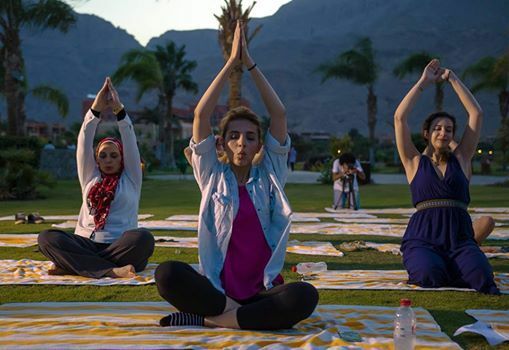 Next month, 20th May, 07:30 pm, Yalla Sohour and Fullmoon Night at Wadi Degla with Shama!